TRUE-certified facilities are supporting the growth of the zero waste movement and changing company culture when it comes to waste. GBCI recently announced that 100 facilities have now been TRUE-certified. 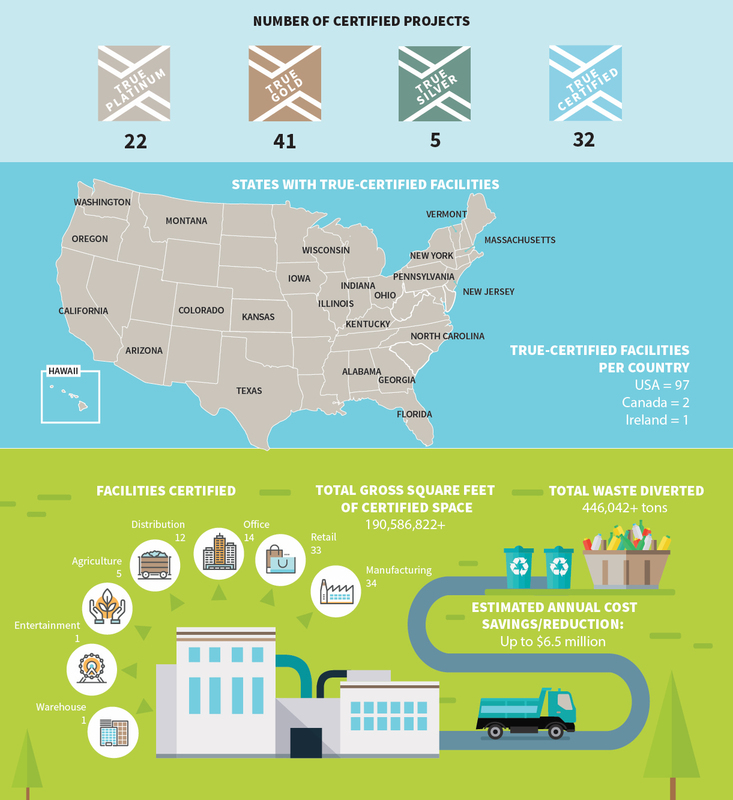 Check out our infographic below to see how the first 100 TRUE-certified projects are advancing the zero waste movement. Join the zero waste movement by registering your project. Also, be a part of the zero waste conversation on social media by sharing the efforts you are making to reduce waste, with the hashtag #TRUEzerowaste. Check out more stories and highlights from the first 100 on TRUE’s Twitter, Facebook and LinkedIn feeds.